Asphalt patch developed by the pros, for the pros, but now you can use it too. WHY CHOOSE U.S. COLD PATCH? 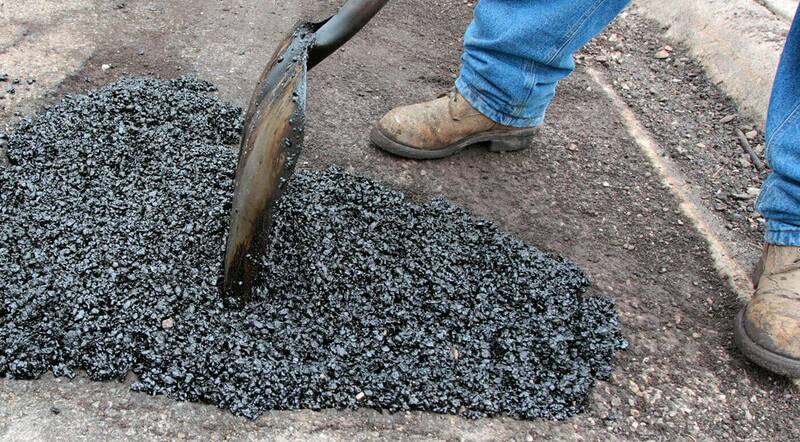 A permanent repair for potholes & cracks, driveways to highways. No oily mess, no special tools required & patch sets up right away. Stored product lasts for years. Use year round, no temperature restrictions. Fill the pothole with U.S. Cold Patch. Spread U.S. Cold Patch evenly in pothole filling in all gaps and spaces. Tamp or tire roll the repair. That’s it!